Alissa Czisny is a two-time ladies national champion who still trains and coaches in the area. She's excited that the premeir figure skating competition in the country is coming back to Detroit for the first time in 25 years. 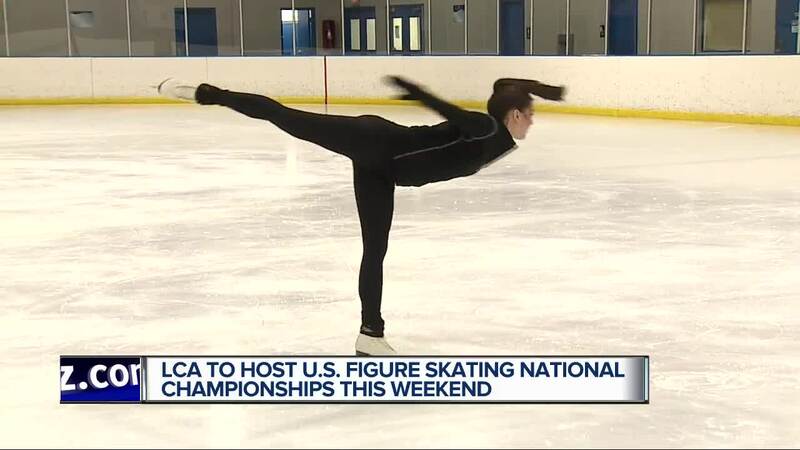 DETROIT (WXYZ) — Alissa Czisny is a two-time ladies national champion who still trains and coaches in the area. She's excited that the premeir figure skating competition in the country is coming back to Detroit for the first time in 25 years. Little Caesars Arena will host the weekend long event and she encourages people who haven't seen figure skating in person before to make sure to check it out. "There's nothing like watching figure skating live, you can watch it on TV, on YouTube, but there's nothing like seeing it live, if you go and see the top skaters live, it's very, very exciting," Czisny said. The event kicks off on Thursday and continues throughout the weekend.